For nearly 10 days now, I have been sorting thru all of the images from 2018. This is a daunting task in any normal year, but this one is a real exception. Over-all there were almost 80,000 photos taken, nearly 50 story’s posted on this website, and 10 countries, all with some amazing birds. In the end, I truly did set out to reduce the number of birds that I feature here from 1302, my years total species, down to 10-12. It seemed like every time I eliminated a photo, I remembered another one that just had to make the cut. There were literally hundreds of birds that I am so fascinated with, that could have/should have been here. In addition, there are several birds, fortunately not many, that I did not manage to get photos of. 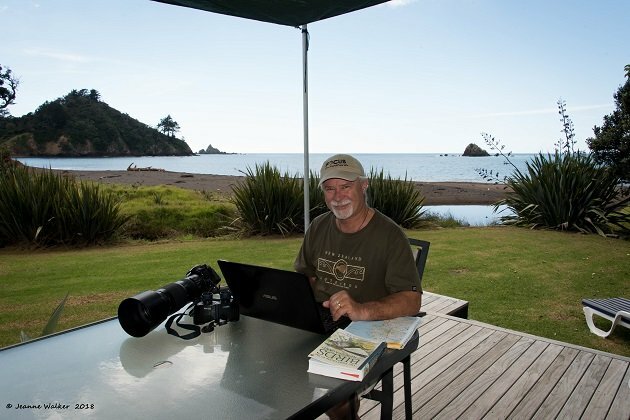 The Southern Brown Kiwi on Stewart Island, New Zealand, that ran down the path in front of me, was never captured. This years bird number 1300, the Whiskered Screech Owl, was found in the dark, in a snow storm, and no photo was gotten. Of the 1302 birds, less than 100 of these birds escaped without getting their picture taken, so narrowing this selectio9n down is quite difficult. In the end, I just could not cut any more out. So, there are 21 birds that make my top 10 for the year. A couple are without a doubt, my favorites, some are so special for reasons that have to do with locations or rarity, and some are amazing birds that can’t be left out of the list because they are just cool! 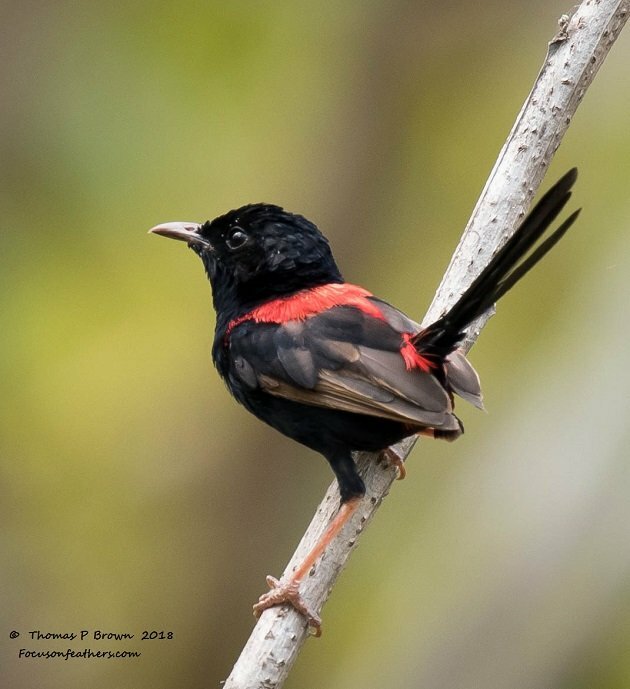 For those of you that may have an interest, click here for the link to the entire list of 1302 birds from 2018! I present to you, my favorite birds of 2018. They are arranged here in no real order, just as I found them in my searching, well, mostly! Our first Day In South Africa, I spotted the Burchell’s Courcal, as it flew across the road in front of us we entered Kruger National Park. Later I was able to capture this one, warming itself, in the early sunshine. 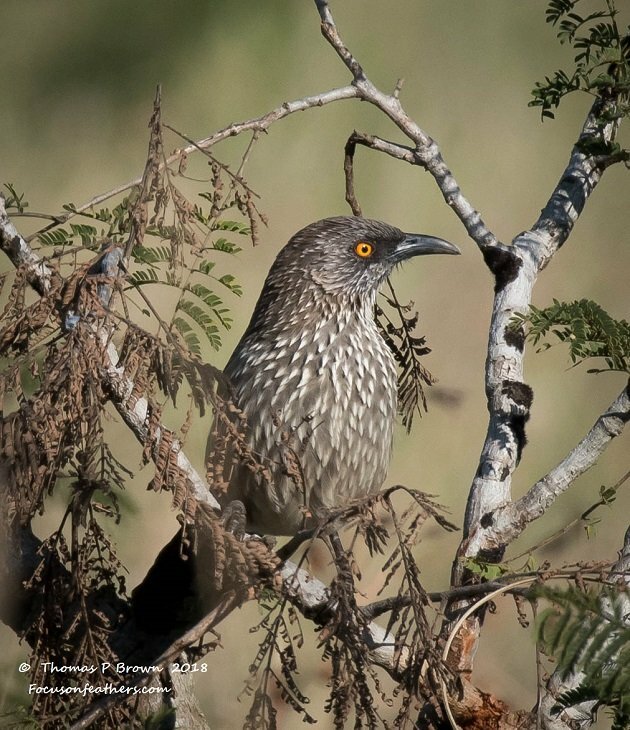 Another South African favorite was the Arrow-marked Babbler. 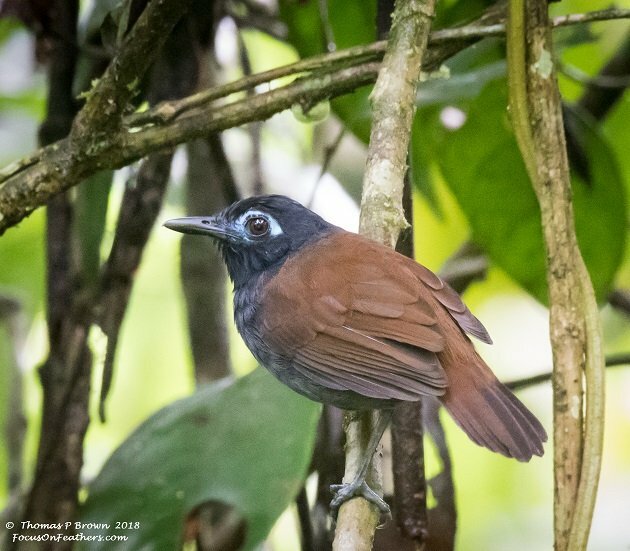 This entire list could be made up of Costa Rican birds, but one of my favorites to capture was this Chestnut-backed Antbird. 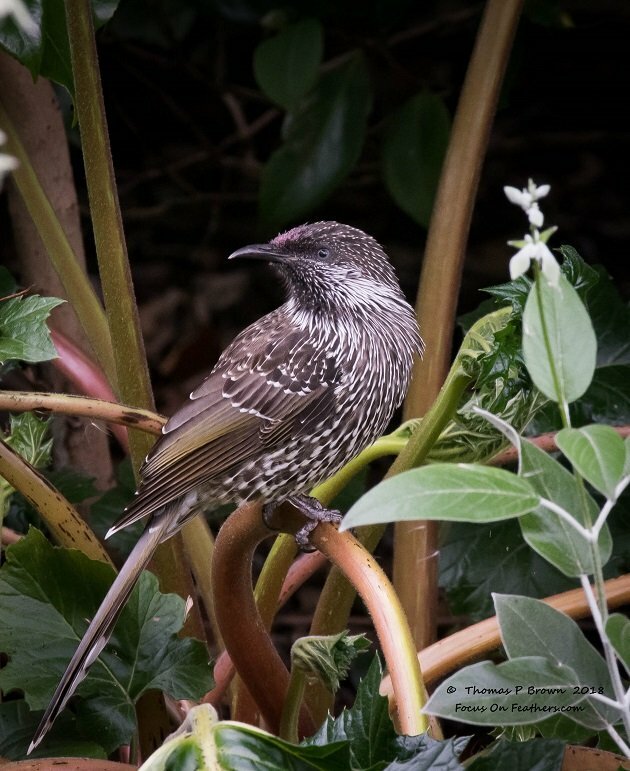 Wandering the Sydney Australia Botanical Gardens, there were a large number of birds that could have made this list, like the Powerful Owl, but this photo of Little Wattlebird is one of my favorites from the area. Spending time in Darwin Australia, has made that our #1 spot to return to after the year was done. 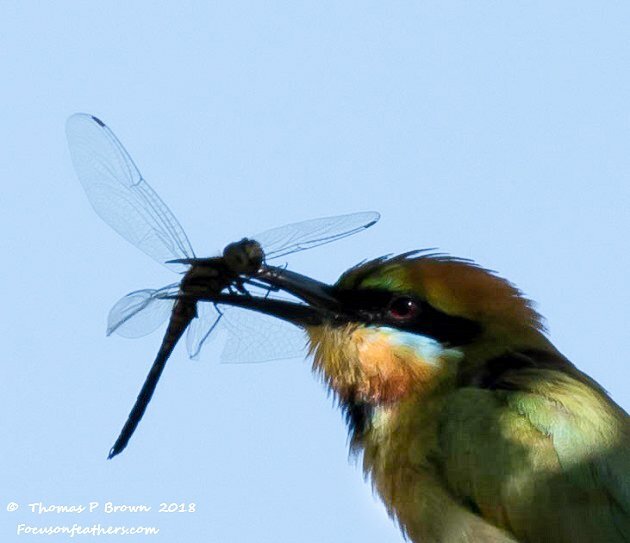 While visiting the Kakadu National Park, I was able to photograph this Rainbow Bee eater right after it had caught a dragonfly. 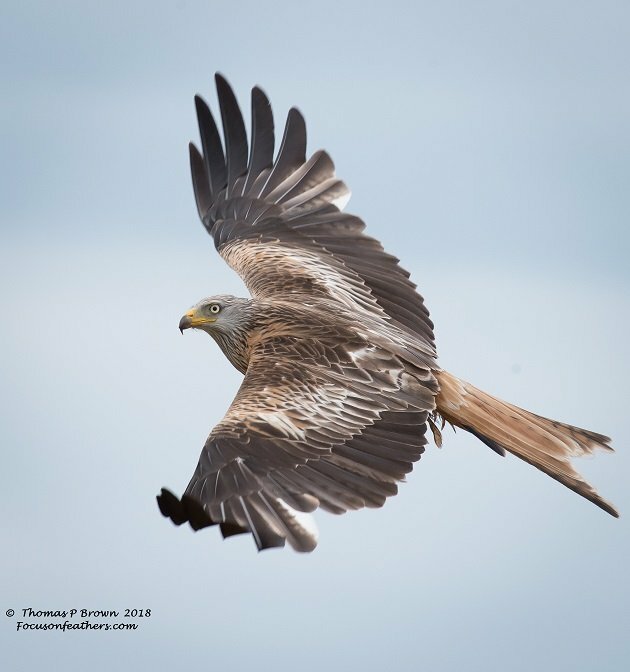 In southern Scotland, neat Gretna Green, we saw first hand, the successful re-introduction of the Red Kite into the rural farm areas. The birds are now breeding in the area, but are quite happy to keep coming to the daily feeding station in groups of over 100 birds. 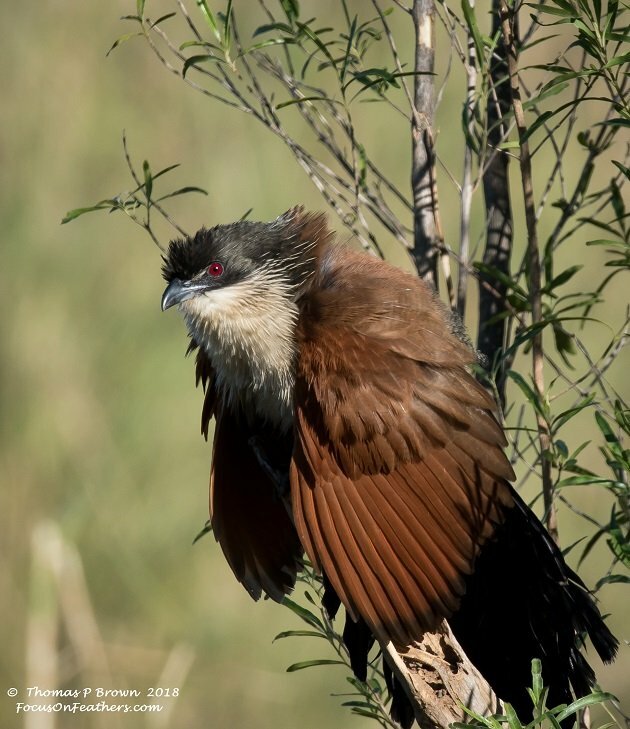 Of course, the one bird pre-destined to be a favorite, would be the last new bird of the year. 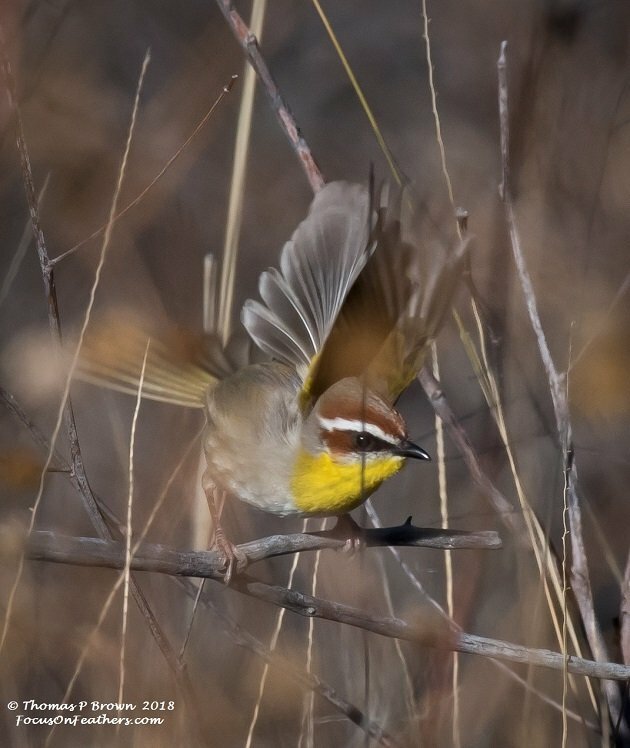 This year, I was able to photograph the ultra rare Rufous-capped Warbler, high in the snowy mountains of southern Arizona. 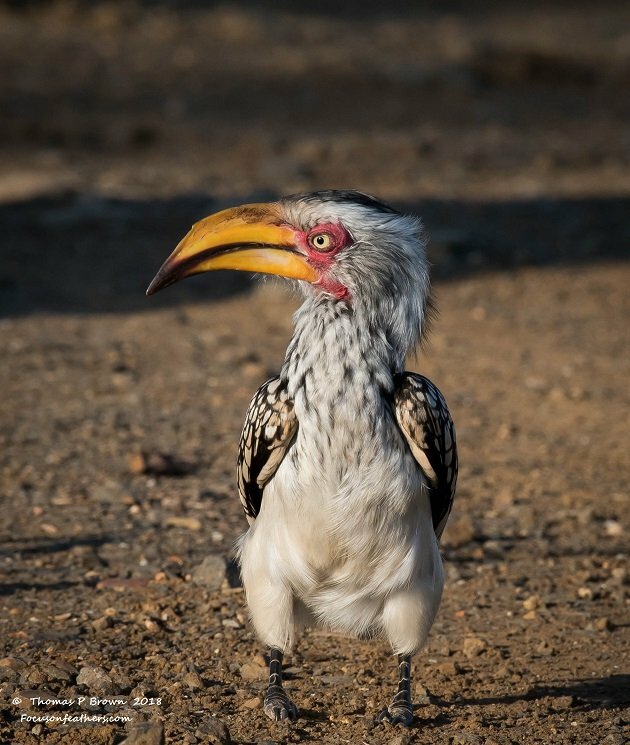 We were able to photograph 6 different hornbills in South Africa, but these regal little Southern Yellow-billed Hornbills quickly became an all time favorite. 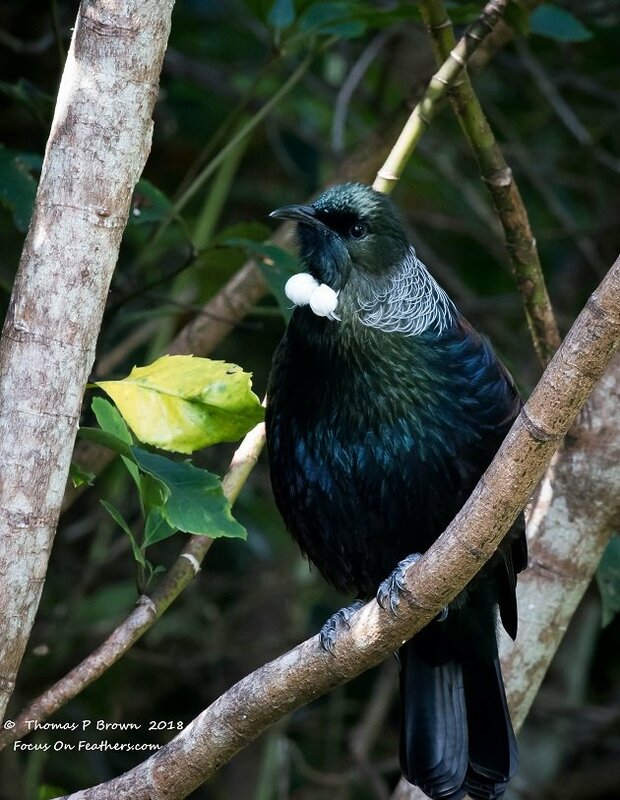 They might very well have their Kiwi, but in my opinion, no bird could possible represent the country of New Zealand as well as the beautifully voiced Tui. There were several birds this year that I felt I worked harder than normal in order to get a decent photo. 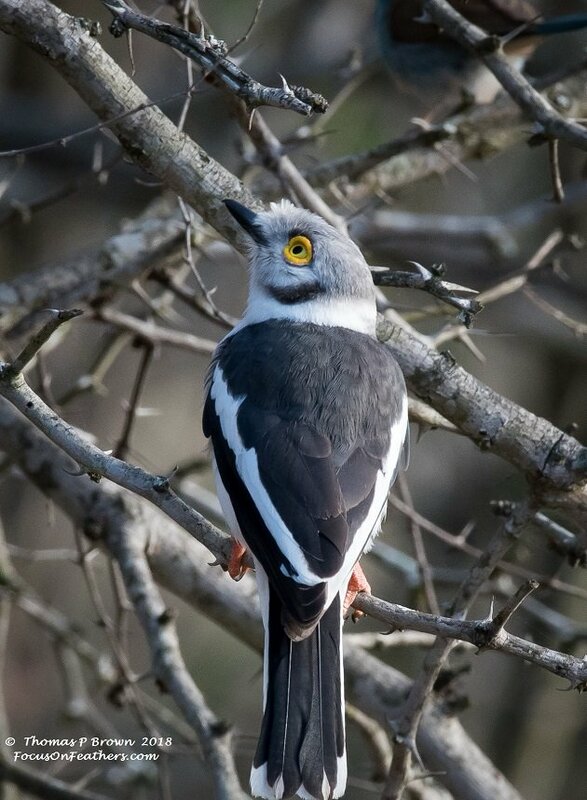 The first bird in that grouping would be the White-crowned Helmut-shrike. After several days of trying, I actually was able to get this photo, on the day were leaving, the car was packed, and we were in the driveway when it flew into the tree next to me. There is no doubt in my mind, that the hardest photo to capture this year was of the tiny, Gold-crowned Spadebill. 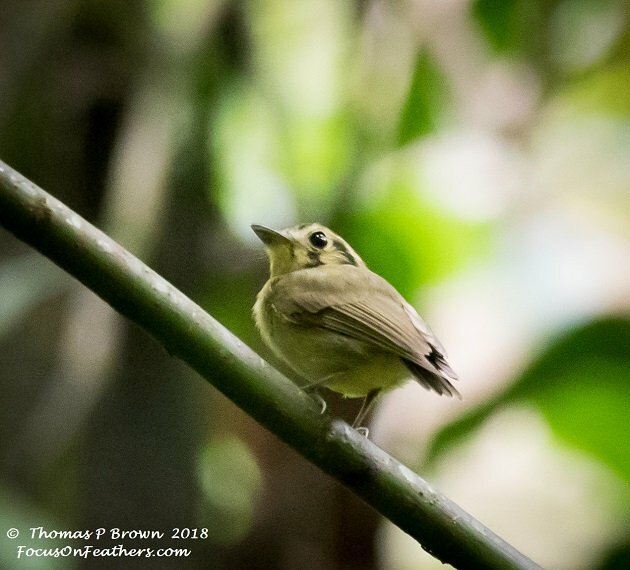 This bird is 3 inches long, lives in the darkest part of the jungle understory of Costa Rica, and never sits still! I finally caught this one in the Alexander Skutch Bird Sanctuary. Just off the coast of Caines Australia lays the Great Barrier Reef. One of the small islands that help make up this natural wonder is Michaelmas Cay. This sandy bit of land, 300 meters by 100 meters long, played host to just little ‘ol me, and about 30,000 birds one morning. In Caines, Australia, we enjoyed a wet morning on the Daintree River, with Murray Hunt, of the Dain Tree River Tours. 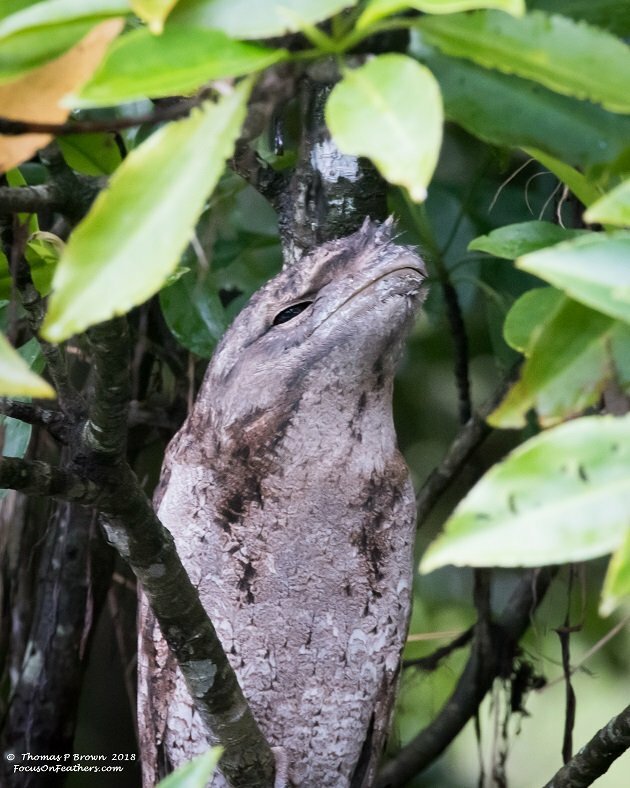 With him guiding the way, we were able to track down this Papuan Frogmouth, right along side the river bank. My wife Jeanne’s eyes proved to be astounding throughout the trip, spotting an amazing amount of birds as we traveled down the back roads and wandered the many trails. She rarely knew what they were, but boy could she spot them. 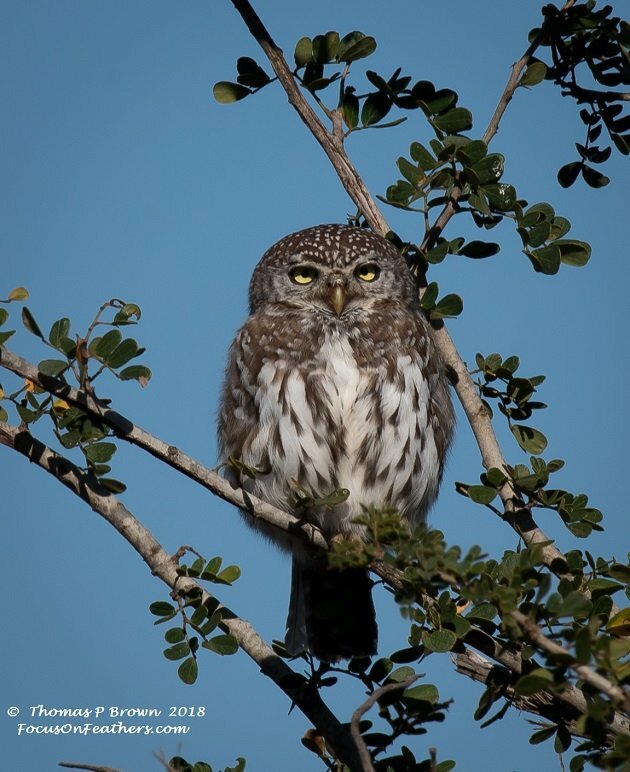 She managed to find at least a half dozen of these little Pearl Spotted Owlets, in Kruger National Park, but most of which were much better hidden than this beauty! For shear beauty and color, it would be hard to ever find a more amazing group of birds that we found in Costa Rica. For me, one of the birds at the top of this last would be the Speckled Tanager. Our time in Doha, Qatar was quite short, and even then hampered by 25-50 MPH winds on a day where the thermometer showed 119 degrees F, but we doggedly pursued whatever we could find. 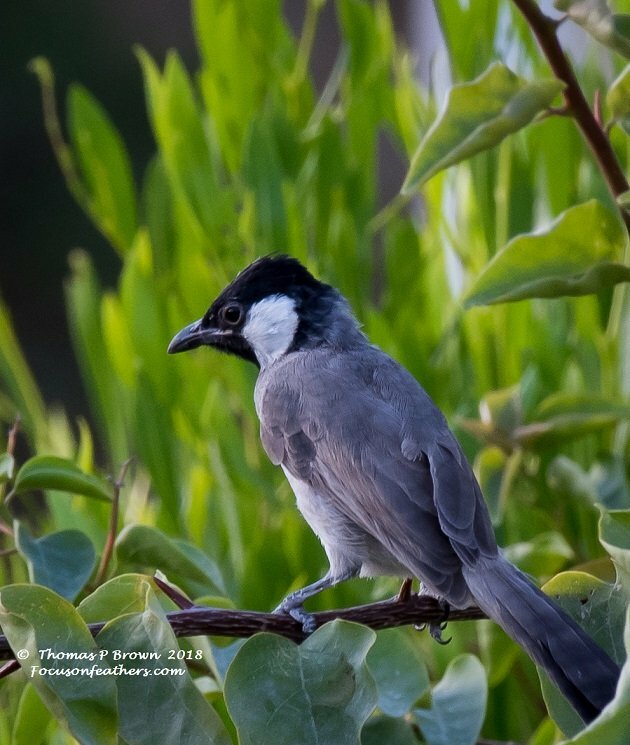 My favorite of the stay was this White-cheeked Bulbul. 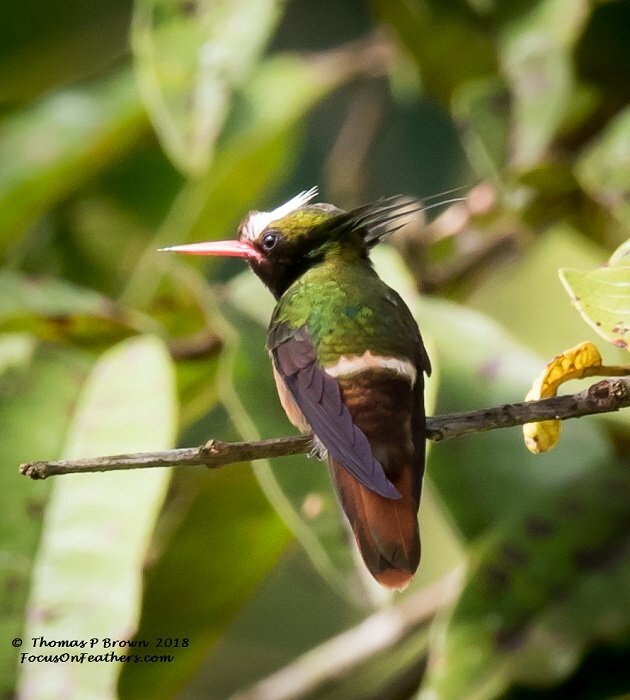 At the end of the year, my tally for hummingbirds was 45 different species, but the winner hands down was the White-crowned Coquette that was found in the Quizarra area of Costa Rica. Taking a hike in the grasslands of northern Australia, near Darwin, found me several great birds, but the color and vibrant activity of this Red-backed Fairy-wren moved it to the top of my list of favorite birds of the year. 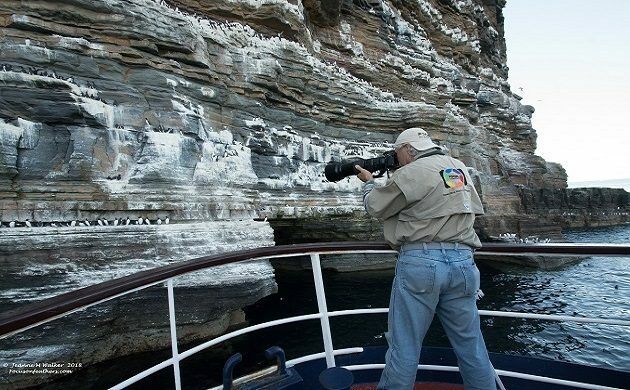 We got to get out on the water, in the very north east corner of Scotland, at Ducansby Head, in John O’Groats, looking at the 10’s of thousands of birds nest and rooting on the ocean side cliffs near by. 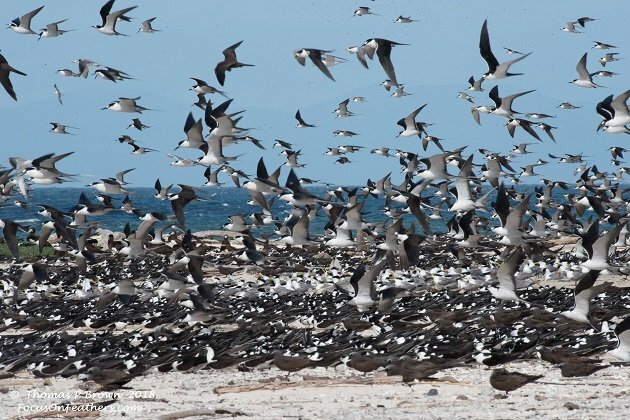 Jeanne took the photo at the top of this story while I was photographing this astounding number of birds. 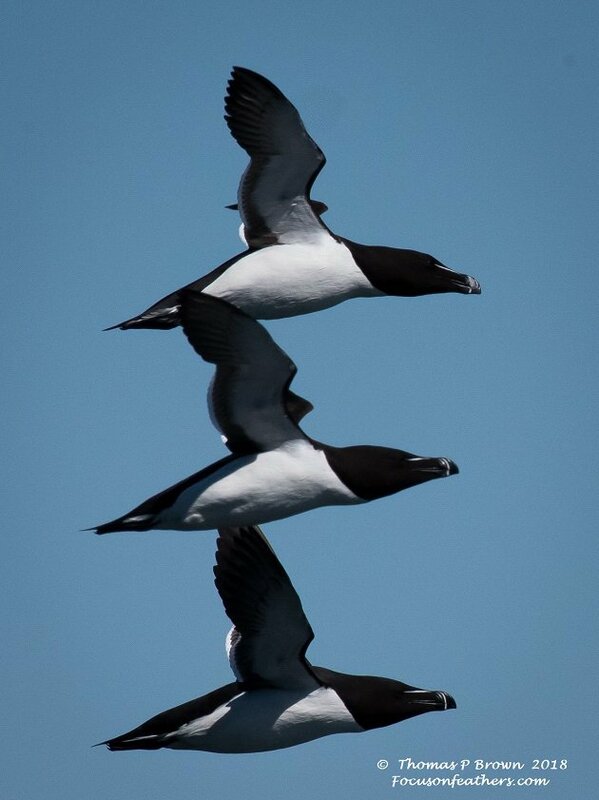 White we were out there, I captured this group of Razorbills, returning to their nests, more than likely with the bellies full of fish for the young. I have saved these last two, for they are indeed my favorite birds of the year. South Africa was simply indescribable in the way I felt when I was there. The people, the birds, the animals, the history, all combined to form an energy that left you wanting more. More time perhaps, but I think, for me it was a desire to see more of the natural side of the country, away from the cities, and out into the thornveld. 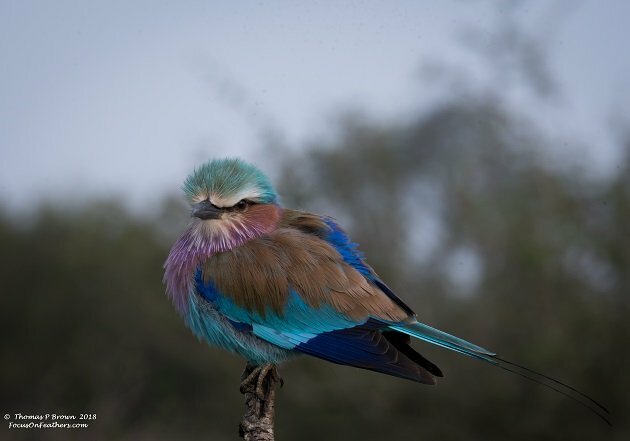 No bird epitomizes the beauty of South Africa for me than the Lilac-breasted Roller. I simply can not think of our time there, with out this bird coming to the fore front of my brain. And, finally the bird of the year for me. 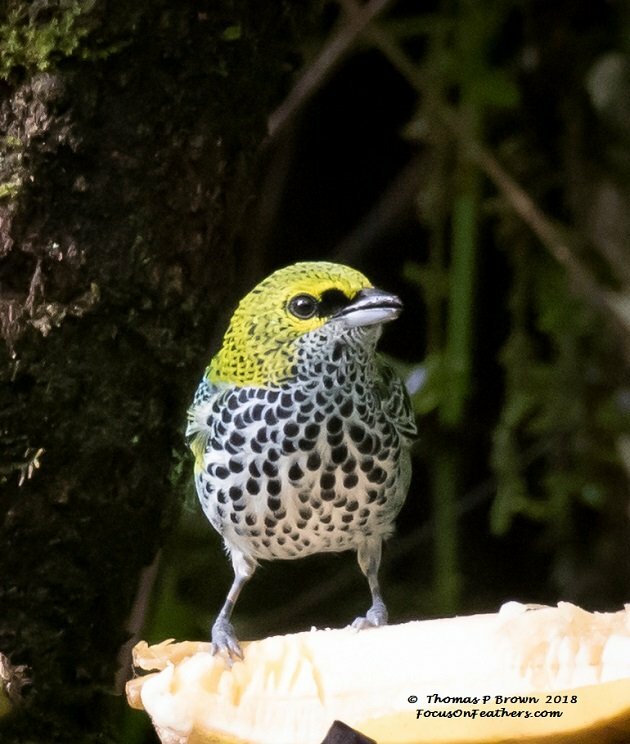 We spent a total of 22 days in Costa Rica, with 15 of those days spent truly birding. 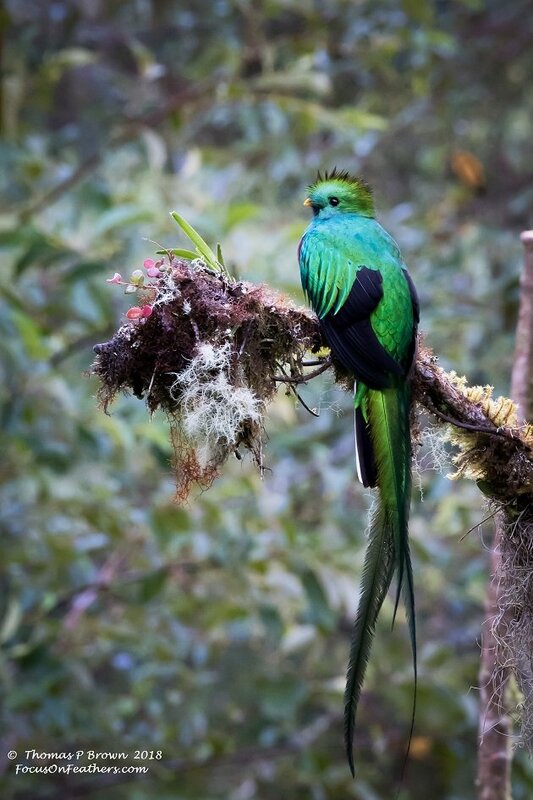 We were able to find 351 species, and yet only one bird will represent my time in Costa Rica, the Resplendent Quetzal. My year was still a few weeks away from ending, and there were some great birds to be found, but this quetzal was destined to end up the year on the very top, the pinnacle of my accomplishment. So there you have it, my favorite birds of the year. At this point, I am going to take a short break from writing, rest a bit, get the batteries recharged and figure out what we are going to do for an encore to 2018. It will be a very hard act to follow, but I am sure we will come up with something to do, and some more birds to track down. Thank you for your support, and following along on our adventure. I wish all of you the Happiest of New Years, and an unending stream of wonderful new birds! Beautiful photos! And the birds aren’t so bad either. I have only seen three of those species (bee-eater, roller, quetzal,) so I have some work to do! They are all such beautiful birds and it must have been so hard to get all of the Resplendent Quetzel’s tail in the photo too! Great to see Red-backed Fairy-wren make the cut! They can actually get even brighter in colour than the one you photographed! Maybe we can show you some in Broome one day! Congratulations on an incredible year! You captured such beauty in these photos. Such a lovely trip through your exquisite photos. Just felt I could see them breathing! Thank you for taking the time to share. Clare, you have no idea how much joy that would bring us. Australia is #1 on our “Go back to soon” list. Thank you so very much Wendy! Happy New Year!